Anyone try their hands at a weekend “detox” yet? For those of you that read my post for two weeks ago, it was all about unplugging and rebooting. I know I’m not alone when I say I’m gearing up for a long week ahead so in the spirit of time conservation, here’s some quick and easy ideas on how to turn one thing into five. This you can make “from scratch” or purchase a pre-roasted chicken. I’m always going to recommend the fancy shmancy free range, grain free whole chickens but being that I fully understand just how irritatingly expensive they can be…let’s go with whatever your pocket book allows. Ideally this will give you several ideas on how to stretch out one dish into 5 days of meals (as much of a cooking cliché that is, sometimes it’s necessary). I’d recommend roasting your chicken (if you go that route) on Sunday evening. 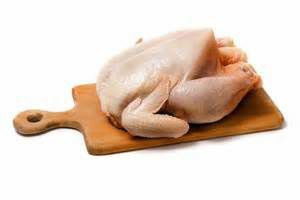 The white meat is undoubtedly the driest part so try eating the chicken breasts for Monday and Tuesday’s meals. I really enjoy crisping the darker meat in a hot skillet and adding it to mixed green salads. I’ll add some additional seasoning (try a blackened seasoning) and cook in olive or grapeseed oil. The next two days are based around using the chicken stock from the bones. A good idea is slow roasting the bones in a slow cooker on Wednesday evening and let it cook for several hours. You can then use the stock to make a rockin soup and use the rest of the stock for a risotto for the following night. If you’d prefer something more nutritionally dense, substitute rice for barley or faro for extra fiber. For additional bits and bobs to add to the soup, try using whatever is in season at your local farmers market. I just picked up some collards, winter squash and leeks. *The key to making a really exceptional stock is to let it simmer for hours over very low heat. Friday is one of my favs. The leftover meat I’ll use to make chicken tacos. For tacos I bust out the chili pepper and serrano peppers. For less heat substitute serrano for bell or wax peppers.